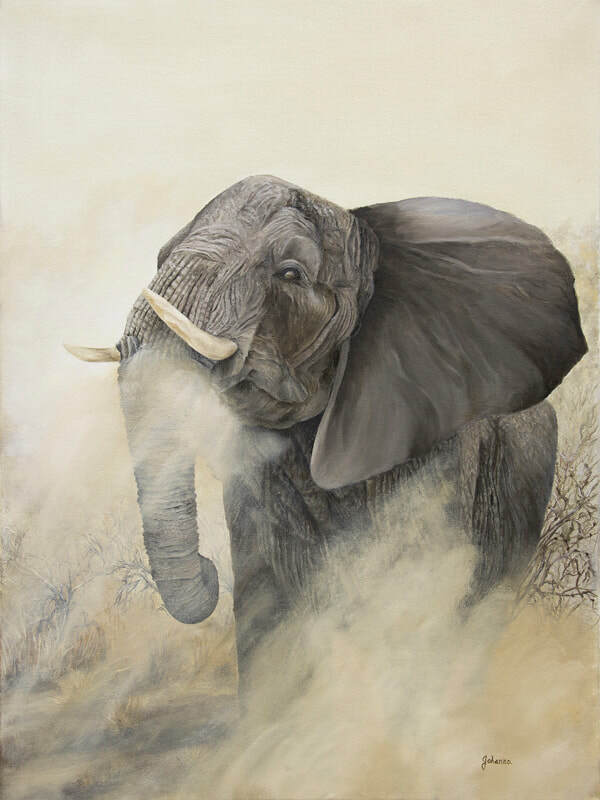 This painting of an agitated elephant reminds me of my trip to Tanzania. While traveling to Tarangire National Park a rogue bull elephant came charging out of the bush and chasing the jeep we were travelling in. My guide reminded me of how unpredictable and aggressive a bull elephant can be.